We provide glossy, four-color mailers and brochures to feature your practice or to target a specific service or audience. 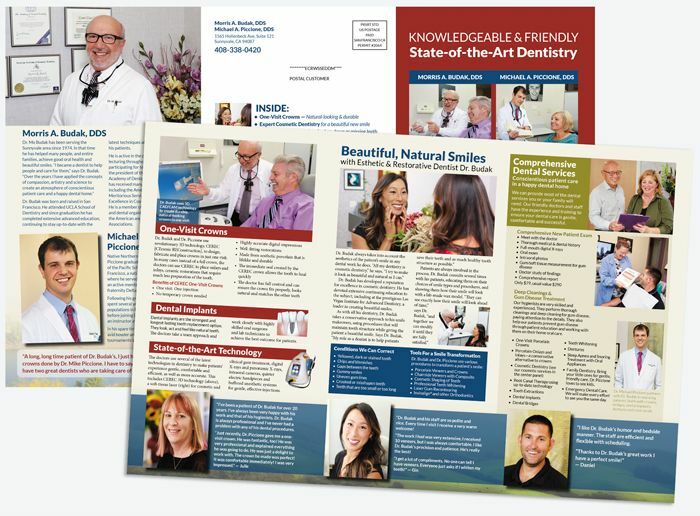 Each mailer is completely custom made for your practice, using market research, proven best-practice marketing for dental practices and custom design, copy and imagery. 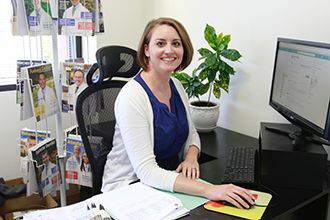 Our Print Marketing Manager does extensive research into the distribution of your mailer. We arrange the distribution of the mailers to target areas based on demographic studies and market research. We keep track of the distribution, providing reports of number of calls generated by the mailers, and even the number of people scheduling. To assist your front desk, we provide scripts and instruction. 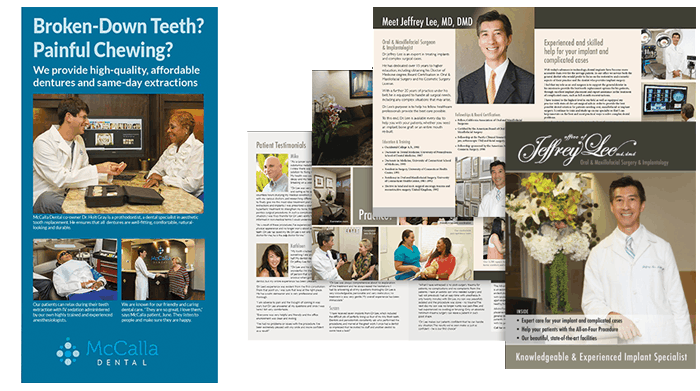 The mailers can be used to market the general services of the practice. The mailers can also be to target specific audiences. For example, dental implants, sleep apnea, cosmetic dentistry, dentures, or any of the services you most want to target. The mailers can also be used to market your specialist services to other dentists. Left: McCalla Dental in Birmingham, Alabama, wanted to market their extraction and denture services. We made them a brochure featuring this service and distributed it to the target audience. Right: Dr. Lee in Tustin, California, wanted to market to other dentists his oral surgery services. We made him a brochure and distributed it to dentists in his area.